Who: If your legs ache after a short walk or your toes or feet hurt at night, or one foot feels cold you may be at risk for PAD. 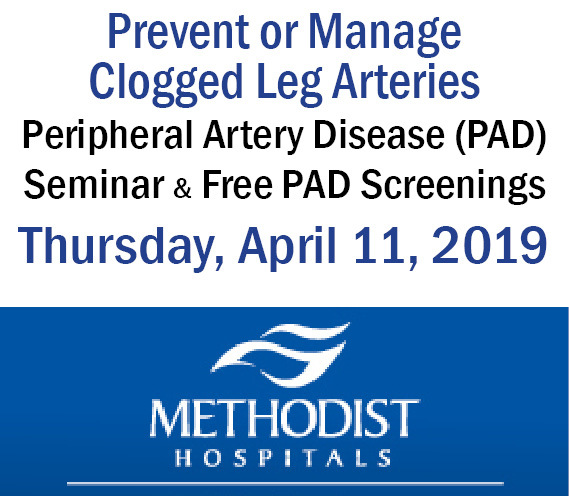 What: Methodist Hospital Heart and Vascular Institute to hold a Peripheral Artery Disease (PAD) seminar and free PAD screenings for members of the community. Attendees will learn about risk factors and understand their chances of developing PAD, learn about effective medications and lifestyle choices to help prevent or manage PAD. If screenings are positive, patients will be referred to their primary care physicians to obtain an order for PAD exercise therapy. 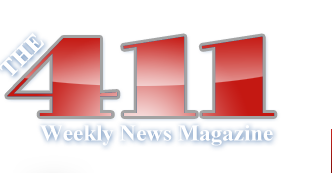 When: Thursday, April 11, 2019. Screenings begin at 2:00 p.m. Dr. Arshad Malik, Cardiologist, will conduct his presentation at 5:30 p.m.
Where: Methodist Hospital’s Cardiac Rehab located at 751 E. 81st. Place, Merrillville. Why: One in every 20 American over the age of 50 has PAD, a condition that raises the risk for heart attack and stroke. Peripheral arterial disease, or P.A.D., develops when your arteries become clogged with plaque – fatty deposits that limit blood flow to your legs. Just like clogged arteries in the heart, clogged arteries in the legs mean you are at risk for having a heart attack or stroke. Plaque buildup in the legs does not always cause symptoms; so many people can have P.A.D. and not know it. People who do experience symptoms, such as pain or cramping in the legs, often do not report them, believing they are a natural part of aging or due to another cause. In all, P.A.D. affects 8 to 12 million people in the United States, especially those over 50 according to the National Heart, Lung, and Blood Institute.